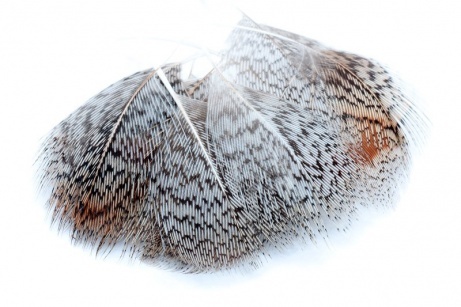 The hackle feathers of the English Partridge have always been favoured by the fly tyer. They create marvellous soft hackles on spiders or legs on nymphs. The neck hackles have a speckled grey/white look, whilst the backs are speckled brown. Perfect for dressing patterns such as the Partridge & Orange and the Partridge & Yellow.